We are delighted to introduce ourselves as one of the only licensed optometrists and opticians who come to your workplace. We arrive with an array of the latest fashion sample eye glasses in all the brand-names you desire. We also bring the equipment necessary for a high-quality and efficient eye exam. Have your vacation day for a real day off. Enjoy the ease of allowing us to travel for you. At your office, during work hours, take a short break and address your well-being. Invite your co-workers to join in on the benefits. Free eye exams are awarded to our referrers. Our eyeglasses collection is available to all co-workers, even those who opt out of an eye exam. Talk to your employer about family benefits, as well. 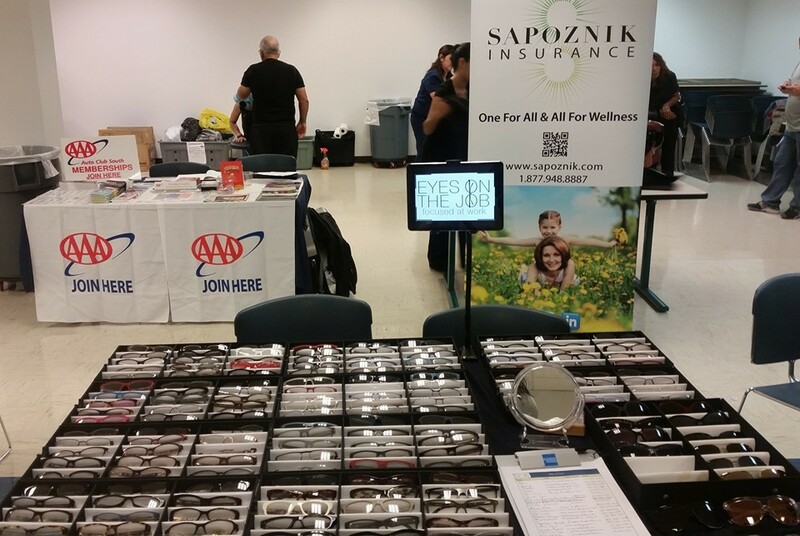 Invite us to your employee health fair.